It’s so simple to create your own amazing charts. 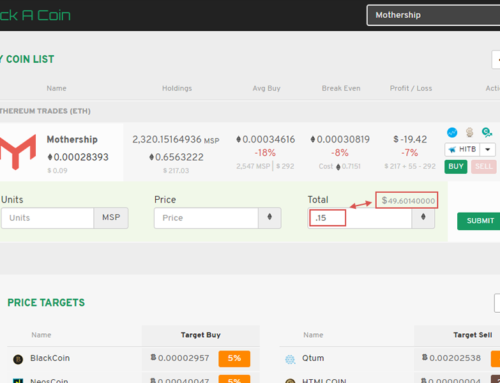 After registering, just add your coins and log some trades. It’s shouldn’t take you more than a few minutes. Then after a few hours when you log in again, a navigational chart link will unlock, providing some amazing visualizations of your own crypto portfolio. There are four main categories of charts. 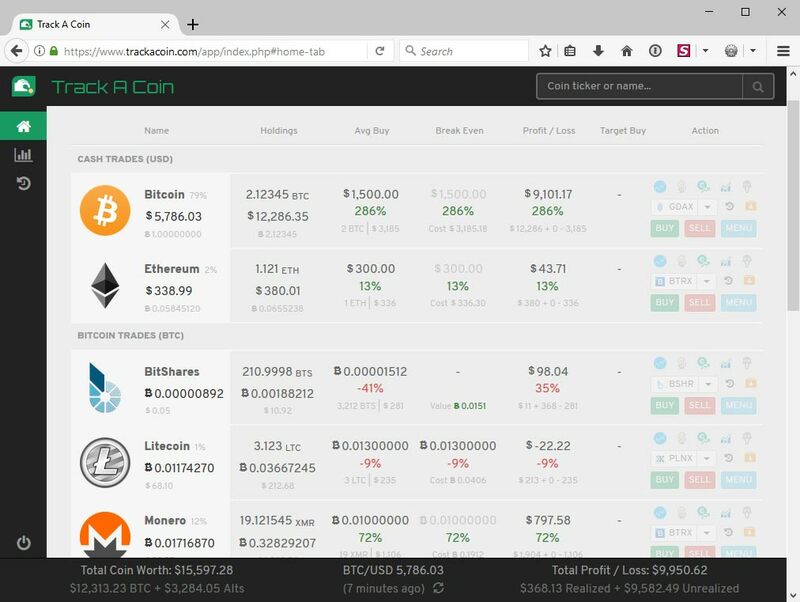 Each will give you a slightly different look at tracking your digital currency portfolio. 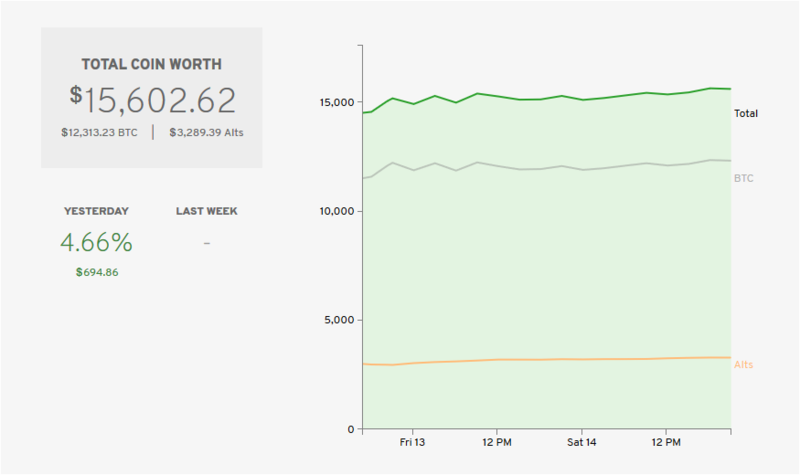 This is the running total of what you could sell all your coins for at real-time prices. This is further broken down to show how much of your crypto net worth is made up of Bitcoin, the reserve digital crypto currency. Your alt coins make up the rest, also plotted on the chart. We like this line to be much lower than BTC. 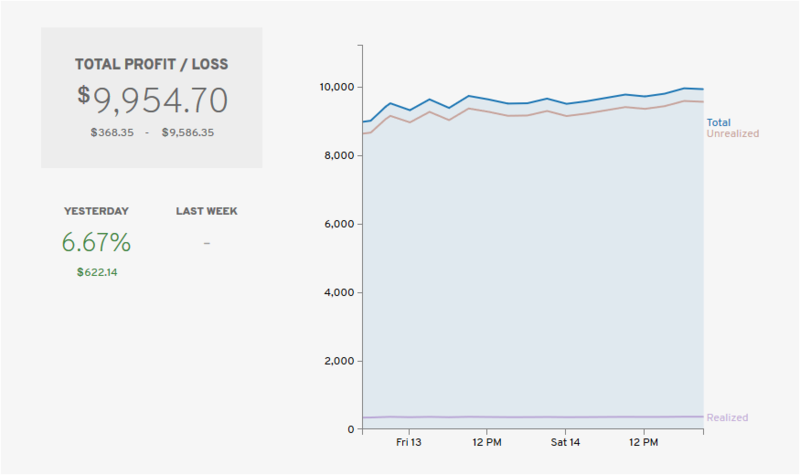 When you log in the next day, you will also see your hour gain or loss that has happened over the last 24 hours. The longer you remain active on the site the more data you’ll be able to see, including rolling weekly and monthly ROI values. How much bitcoin do you hold vs. altcoins? This chart shows how well you have diversified your crypto holdings. Or should we say, have mostly bitcoin and then a few speculative altcoin plays? We like to keep BTC well above the 50% mark. Either way it’s up to you. 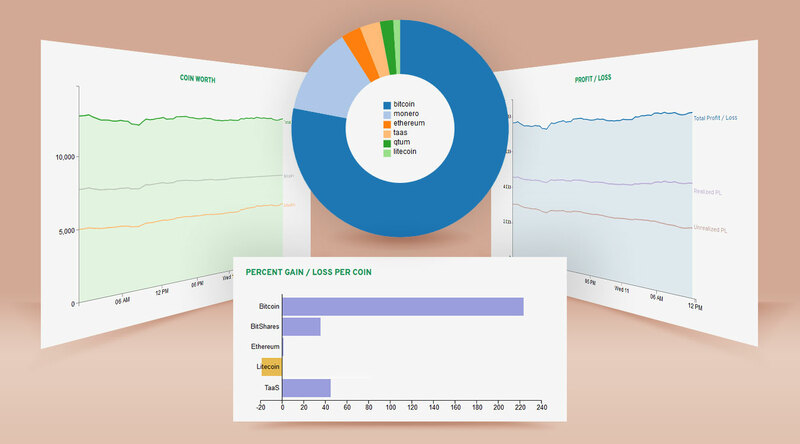 Just add your coins and input how much you have to see the chart visualize what percentage of each digital currency makes up your portfolio. This important indicator is also one of the hardest to understand. Your Profit / Loss is actually made up of two different values, called ‘unrealized’ and ‘realized’ profit. That’s right, there’s more than one type of profit! 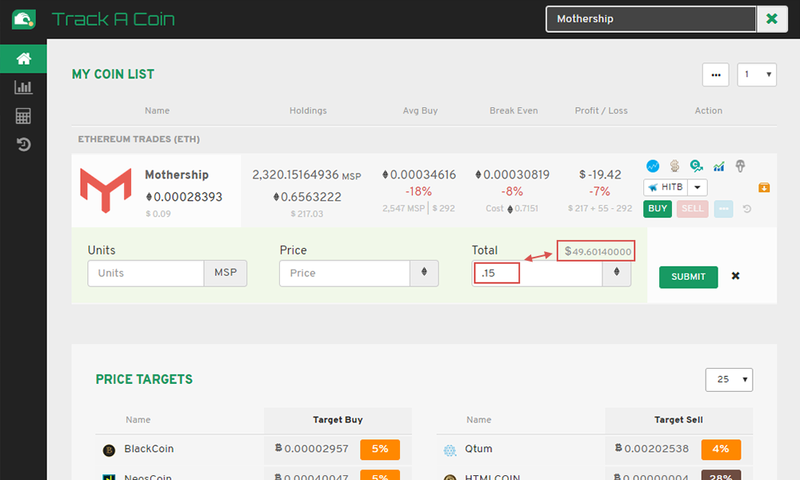 Unrealized profit is the current value of your coins, minus the price you originally paid for them. For example say you bought one Bitcoin at $1000 before the huge run up. When it reached $5,000 a few months later, your unrealized profit would become $4,000. 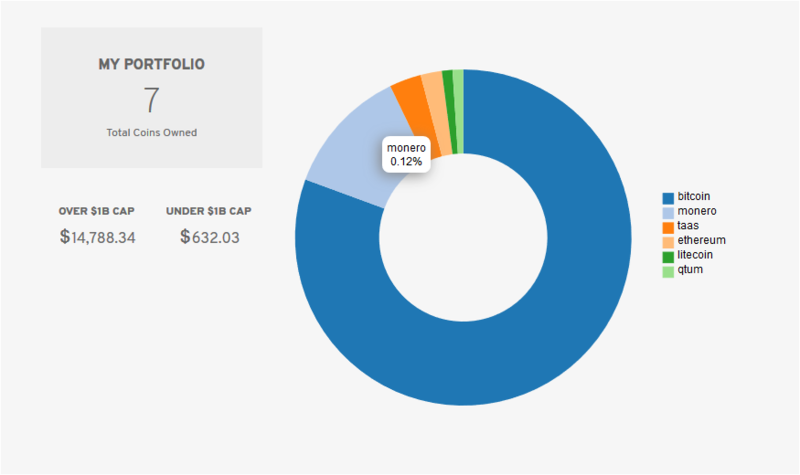 Track how each of your coins grow (or shrink) your overall portfolio. 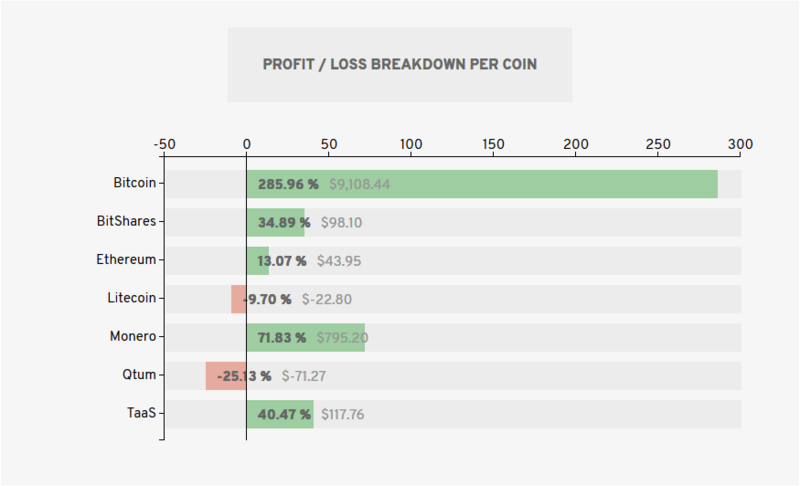 This uses the same percentage indicator found on the profit / loss column in the main dashboard view. If you are not currently a registered user of this platform, we invite you to get started today.